The first-prize design in Popular Science’s 1941 medicine cabinet contest. 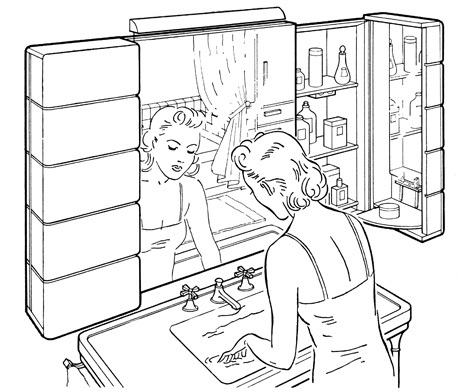 The improvements submitted by readers—drug lockboxes, his-and-her drawers, inner and outer mirrors—give some idea of the complex private-public boundaries that governed the use of medicine cabinets. A ubiquitous element of our modern-day bathrooms, the medicine cabinet is also one of the home’s most particularized containers—stocked with substances and technologies used in healthcare and grooming, it functions both as personal pharmacy and private salon. Indeed, the medicine cabinet emerged across the early part of the twentieth century not just in tandem with public health policy initiatives but also, importantly, with the developing consumer market for the goods and tools of personal care. Its signature aesthetic—mirror, glass, and gleaming metal—would seem to have as much in common with the presentational seductions of the department store display case as with the sanitary spaces of the physician’s examining room. As we clean our mirrors, we might recall that it was on this date in 1963 that the first residential Trimline telephone in the U.S. was placed into service by the Michigan Bell Telephone Company. It was rolled out across the country by ATT in 1965 (for an optional $1 monthly extra charge). 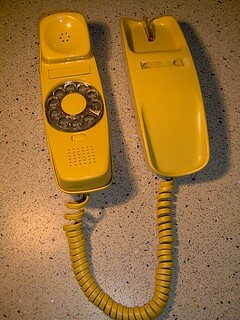 The dial and hang-up button were no longer on a remote base, but instead integrated into the handset, midway between the microphone and speaker. A call could thus be dialed from the handset alone– more convenient in the kitchen or while in bed (though still at that time rarely in the bathroom). In 1977, Fortune selected the Trimline as one of the country’s 25 best-designed products. 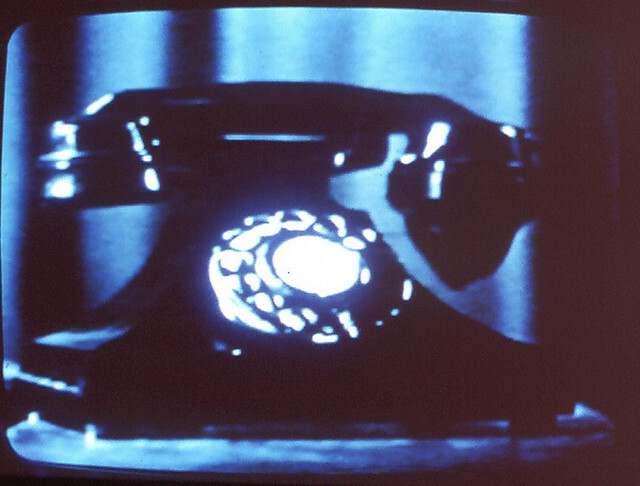 More on “Telephones” here; and on Marclay, here. 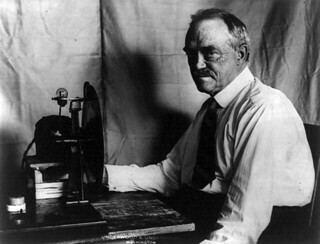 Jenkins is better remembered as a pioneer of early cinema and one of the inventors of television– he racked up over 400 patents, mostly in those fields– and as the recipient of the first commercial television license. 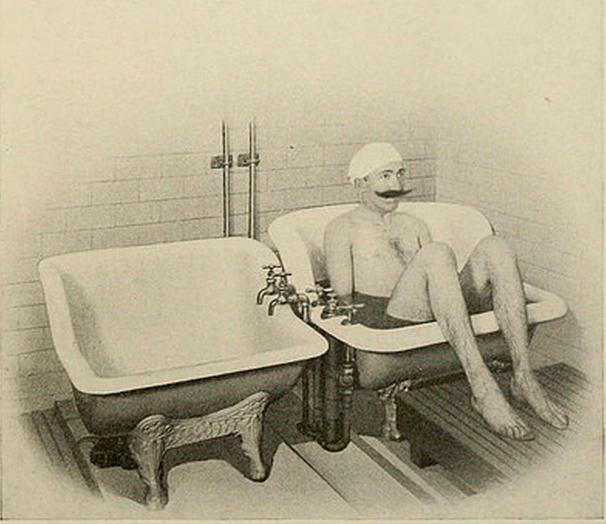 A professor of physiotherapy, Dr. Curran Pope’s practice embraced “diseases of the mind and nervous system”, which he treated with both electro-therapy, and hydrotherapy in his own sanatorium in Louisville, Kentucky. 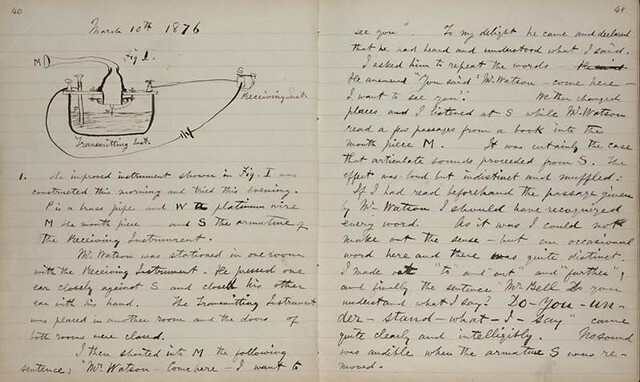 In 1909, he published Practical Hydrotherapy: A Manual for Students and Practitioners. 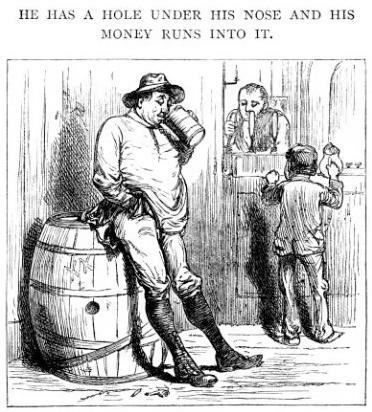 Get wet at Public Domain Review, where one will find many more illustrations like the one above; then page through Dr. Pope’s book at the Internet Archive. As we dip our toes, we might send temperate birthday greetings to William Thomson, 1st Baron Kelvin; he was born on this date in 1824. A physicist, mathematician, and engineer, he has been described as the Newton of his era: At the University of Glasgow, where he taught for over half a century, he did important work in the mathematical analysis of electricity and formulation of the first and second laws of thermodynamics, and did much to unify the emerging discipline of physics in its modern form. He worked closely with mathematics professor Hugh Blackburn in his work, especially the development and application of trigonometry. He had a side career as an electric telegraph engineer and inventor, which propelled him into the public eye (and ensured his wealth, fame, and honor– his work on the transatlantic telegraph project earned him a knighthood from Queen Victoria). 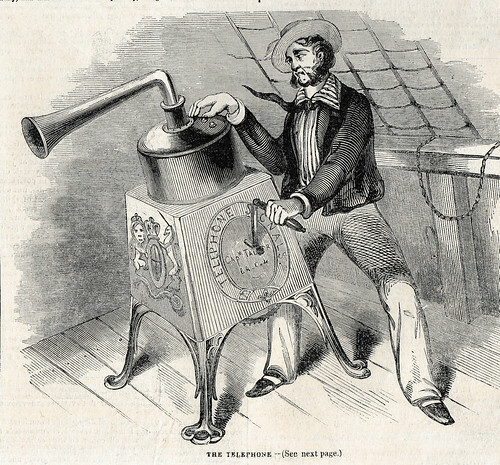 And he had extensive maritime interests, among which he was most noted for his work on the mariner’s compass, which had previously been limited in reliability. Absolute temperatures are stated in units of kelvin in his honor. 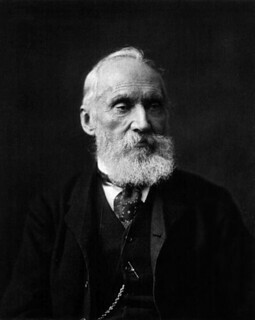 While the existence of a lower limit to temperature (absolute zero) was known prior to his work, it was Lord Kelvin who determined its correct value as approximately −273.15 degree Celsius, or −459.67 degree Fahrenheit. 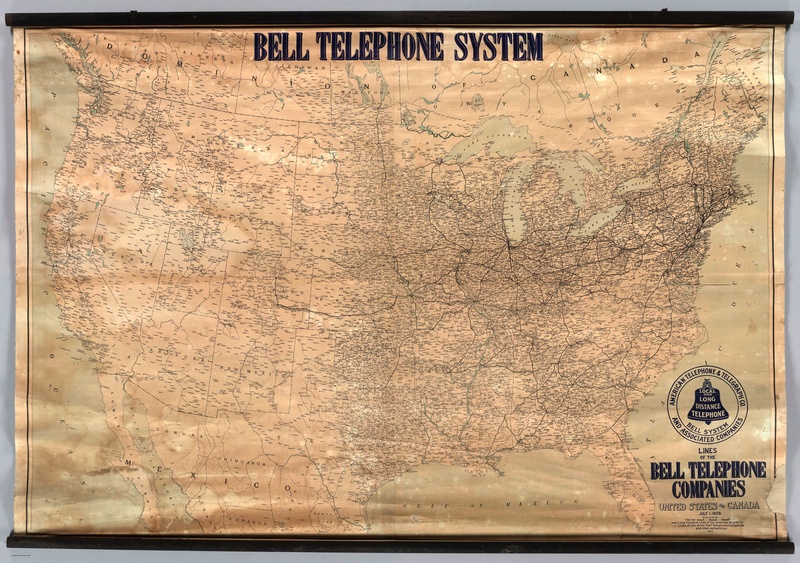 There were 5.8 million telephones in the Bell/AT&T network in 1910, when this map was published. It shows the uneven development of early telephone service in the United States, and gives us a sense of which places could speak to each other over Bell’s long-distance lines in the first decade of the 20th century. The Bell Telephone Company, which was founded in 1877, faced some competition early on from Western Union, but then enjoyed a virtual monopoly on telephone service until 1894, when some of Bell’s patents expired. Sociologist Claude Fischer writes of the years after that expiration: “Within a decade literally thousands of new telephone ventures emerged across the United States.” Some of those independents went into rural areas that Bell had not covered, because the company had focused on developing service in the business centers of the East Coast.By the time this map was printed, Bell had tried several different strategies, clean and dirty, to fight back against its competition, including (Fischer writes) “leveraging its monopoly on long-distance service,” pursing patent suits, controlling vendors of telephone equipment, and simply using its deep pockets to outlast smaller companies that tried to enter the market. Theodore N. Vail, who took over in 1907, changed strategies, accepting limited government regulation while buying competitors or bringing them into the Bell system. The map shows Bell’s market penetration in 1910, three years after Vail took over. Some rural areas—Oklahoma, Iowa, northern and eastern Texas—are surprisingly well-covered, while others in the Southeast remain empty. 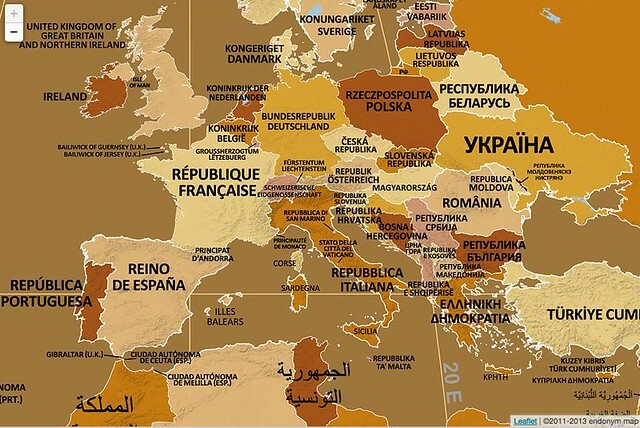 The discrepancy between coverage in the East and the West is perhaps the most striking aspect of the map. California remains sparsely served, and no long-distance lines reach all the way from coast to coast. AT&T constructed the first transcontinental line in 1914. As we listen for the dial tone, we might recall that it was on this date in 1857 that Édouard-Léon Scott de Martinville received a patent for his “phonautograph,” the earliest known device for recording sound. Intended as a laboratory instrument for the study of acoustics, it transcribed sound waves as undulations (or other deviations) in a line traced on smoke-blackened paper or glass. Hear a sample– an excerpt of “Au Clair de la Lune” recorded by Scott himself in 1860, and believed to be the earliest recording of the human voice– here. 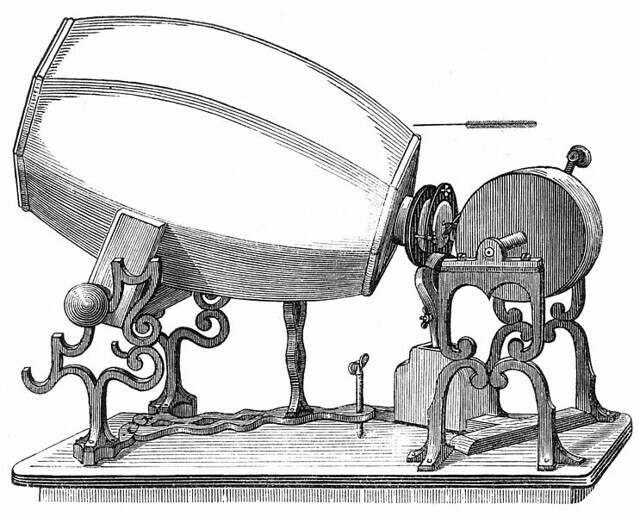 An early phonautograph (1859). The barrel on this version is made of plaster of paris. An endonym is the name for a place, site or location in the language of the people who live there. These names may be officially designated by the local government or they may simply be widely used. 1, followed by 13 zeros, then 666, and then another 13 zeros, and a final 1: a palindromic prime number named for Belphegor (or Beelphegor), one of the seven princes of Hell. 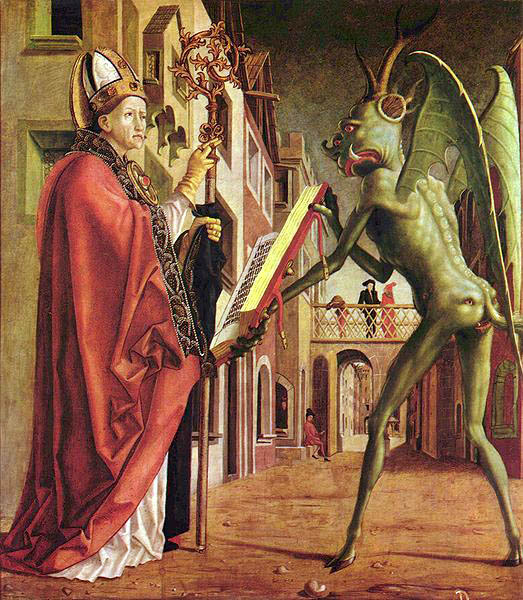 Reputed to help people make discoveries, Belphegor is the demon of inventiveness. He figures in Milton’s Paradise Lost as the namesake of one of the “Principalities of the Prime”… So it is only fitting that these devilish digits bear his name. The symbol of Belphegor’s Prime resembles Pi, only upside down. 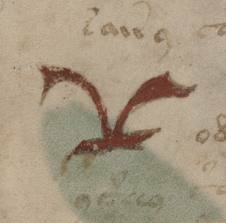 It is derived from a bird glyph first seen embedded in the Voynich Manuscript. As we try to divine divisors, we might recall that it was on this date in 1968 that the first-ever 9-1-1 call was placed by Alabama Speaker of the House Rankin Fite, from Haleyville City Hall, to U.S. Rep. Tom Bevill, at the city’s police station. Emergency numbers date back to 1937, when the British began to use 999. But experience showed that three repeated digits led to many mistaken/false alarms. The Southern California Telephone Co. experimented in 1946 in Los Angeles with 116 for emergencies. 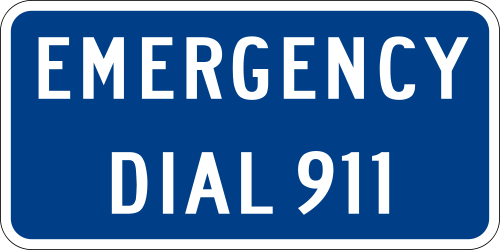 But 911– using just the first and last digits available– yielded the best results, and went into widespread use in the 1980s when 911 was adopted as the standard emergency number across most of the country under the North American Numbering Plan.